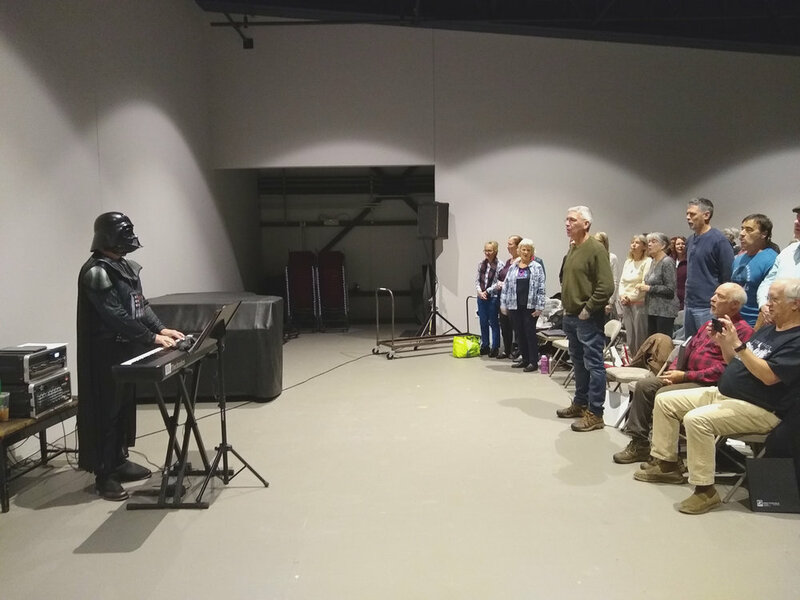 Tony Lechner as Darth Vader conducts a rehearsal of Rock Voices at its weekly rehearsal in the Flex. Tony is the founder and creative director of Rock Voices, Inc. Playing the Museum Director game during Kelly Silliman’s Youth Modern Jazz class on Halloween Night. 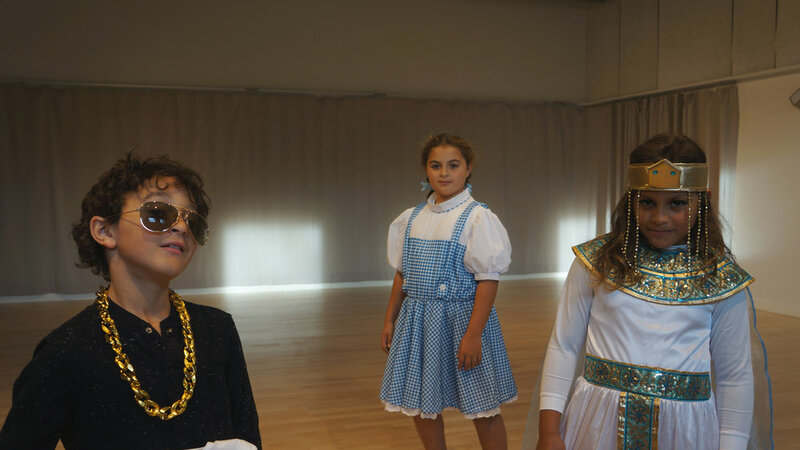 The Fisher kids showed up to the class in costume: Julian as Bruno Mars, Kaiulani as Dorothy (sans Toto), and Kalea as Cleopatra. David is a Chicago born artist currently living and working locally. He calls his work a fluid elegance turning 2D drawings into 3D pieces of sculpture on paper. Please join us for an opening reception Downstairs at 33 Hawley on Friday, October 12, 5-8 PM. Here’s his Facebook page, and here’s a great 2016 interview with him by the Daily Hampshire Gazette.